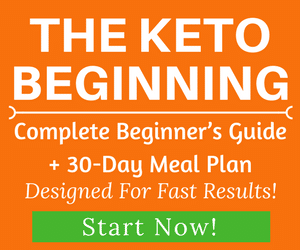 Should you eat nuts on keto? 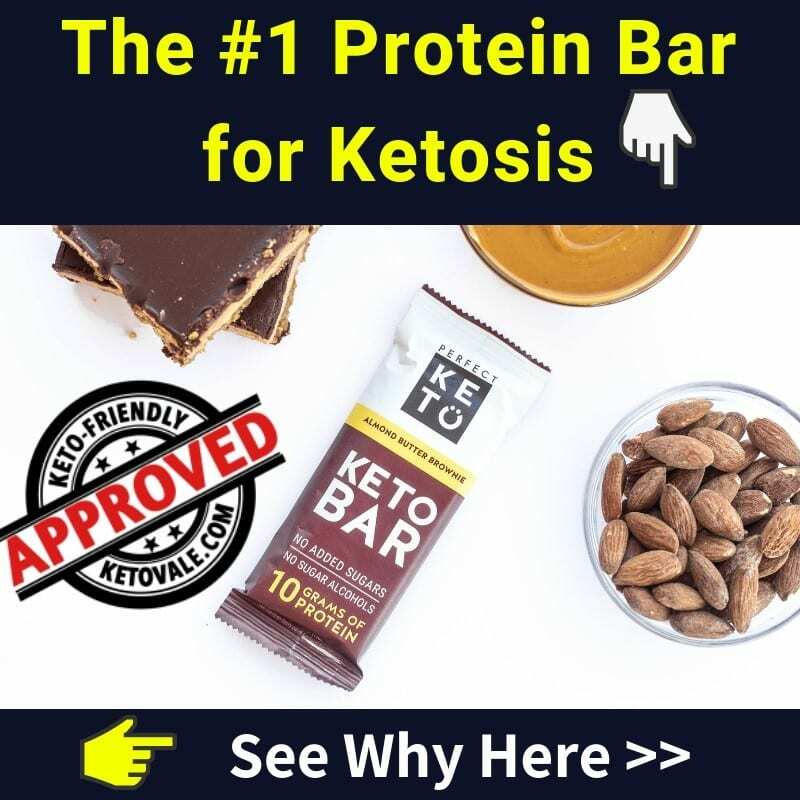 Nuts can be an important part of a well-formulated ketogenic diet and provide many essential micronutrients, together with having a generally very keto-friendly macronutrient profile, depending on the exact type of nuts. They will give you energy and will help you feel satiated, and can be an easy, quick and convenient snack that you can take almost anywhere with you. Nuts are generally a good source of magnesium and of monounsaturated fats, and most of them are highly beneficial for cardiovascular health. Keep in mind, however, that nuts are very calorically dense and easy to overeat. They are crunchy, tasty, and often have added salt, which makes them even more delicious. The most keto-friendly nuts are the highest in fat and also the highest in calories such as pecans, macadamia nuts, walnuts, etc… and because of that, they’re also the most satisfying. To avoid getting carried away, serving sizes should be carefully measured and weighed, and you need to be precise when logging nuts in your food diary. Do not eyeball nuts, as the caloric difference between the perceived and the real amount can be significant and detrimental to your progress. Macros per 100g: 690 calories, 72g fat, 4g net carbs and 9g protein. 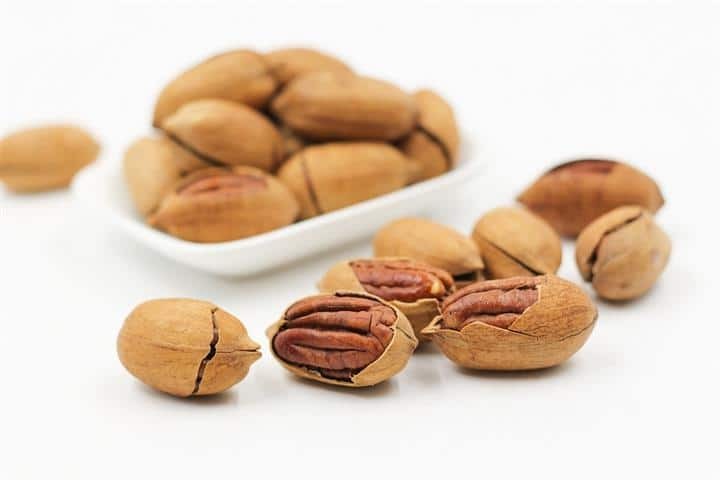 Pecans are the lowest in net carbs and are also high in flavonoids (a type of antioxidant), which make them particularly beneficial for heart health. Macros per 100g: 656 calories, 66g fat, 4g net carbs and 14g protein. 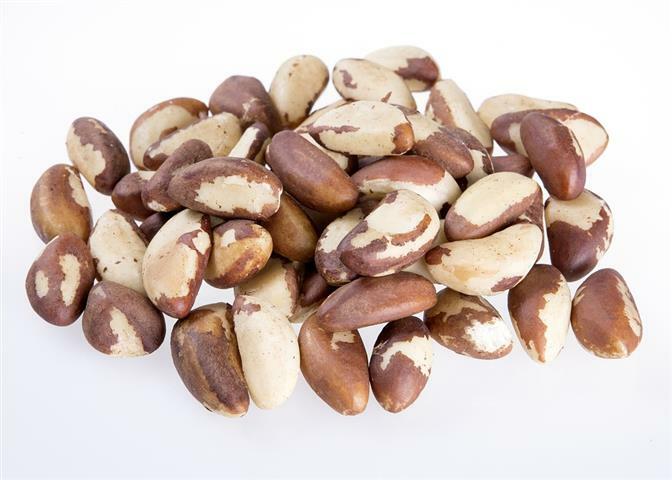 Brazil nuts are a good source of selenium, magnesium, and zinc. Macros per 100g: 718 calories, 76g fat, 5g net carbs and 8g protein. 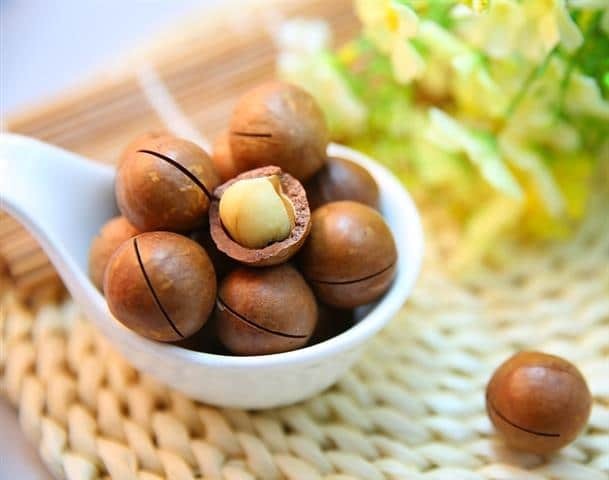 One of the fattiest nuts out there; because of their high content of monounsaturated fats, macadamia nuts are beneficial for cardiovascular health. 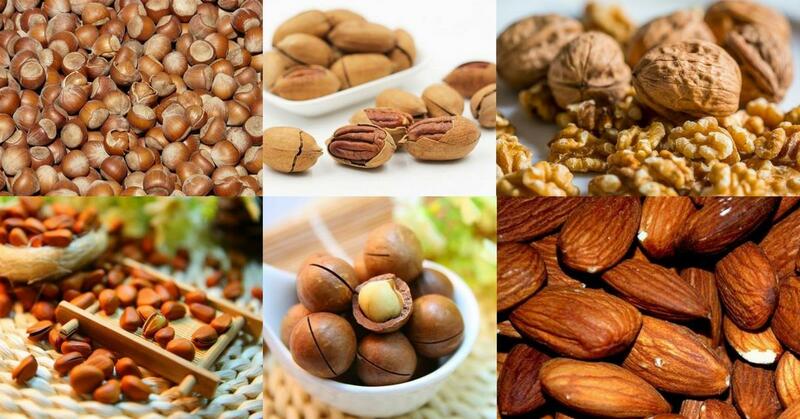 As other nuts, they contain a lot of micronutrients, such as magnesium, calcium, copper, vitamin B6. 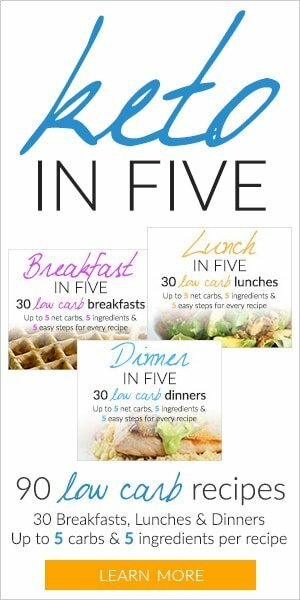 Because of their high caloric content, you need to be particularly careful with properly measuring portion sizes. Macros per 100g: 628 calories, 61g fat, 7g net carbs and 15g protein. 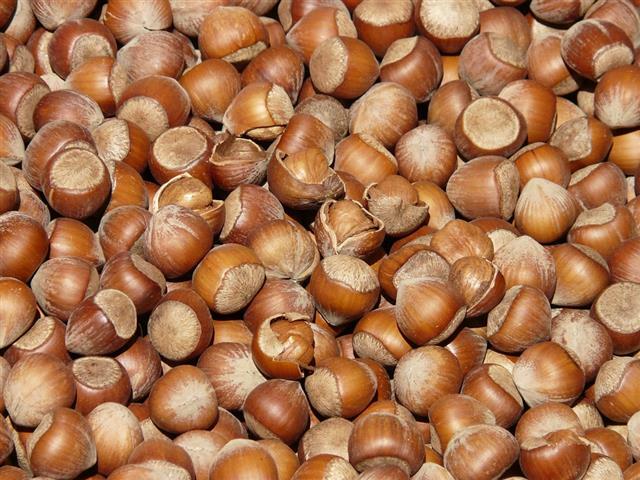 Hazelnuts boost brain health, as they contain high amounts of vitamin E, manganese, folate, and thiamine. Macros per 100g: 654 calories, 65g fat, 7g net carbs and 15g protein. 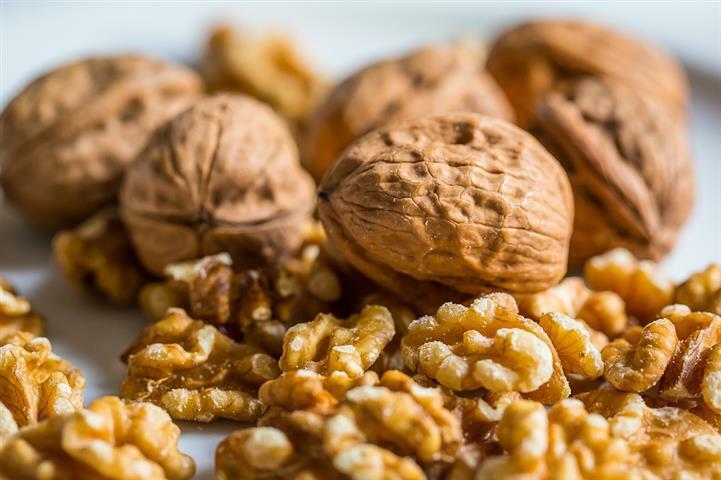 Walnuts are a great source of omega-3 fatty acids, and especially ALA (alpha-linolenic acid), which is particularly beneficial for heart health. Walnuts are delicious in salads, so if you haven’t tried this yet, you should add some walnuts to your next salad. Macros per 100g: 673 calories, 68g fat, 9.3g net carbs and 14g protein. Pine nuts are a good source of magnesium, which is essential on a keto diet. In addition to that, because of their high vitamin K content, they help maintain healthy bones. Macros per 100g: 576 calories, 49g fat, 10g net carbs and 21g protein. Almonds contain a high amount of biotin, which is a micronutrient you might want to make sure you’re getting enough of if you’re struggling with hair loss as a result of prolonged dieting. 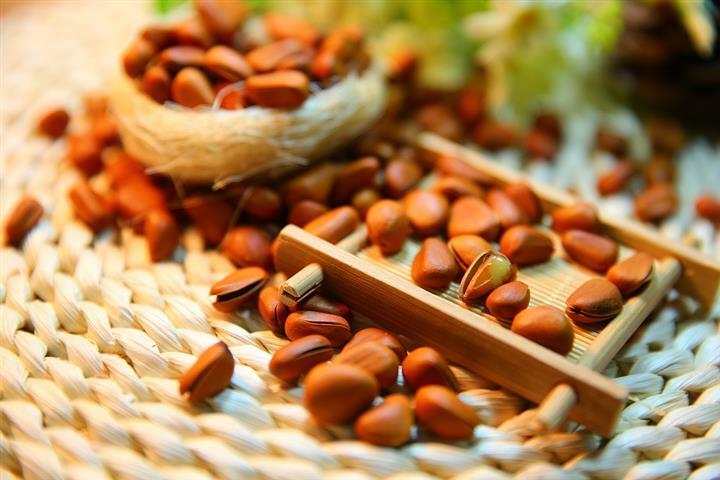 As other nuts, they lower your LDL (“bad”) cholesterol and are protective against diabetes. 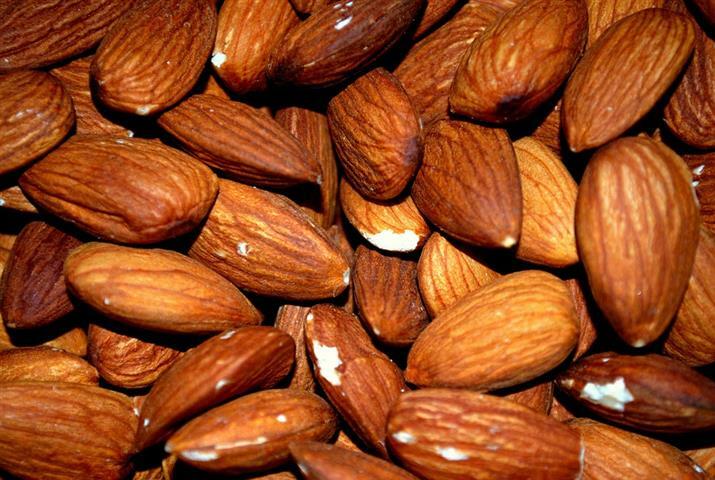 Whole almonds with their skin on contain the highest amount of healthy nutrients. 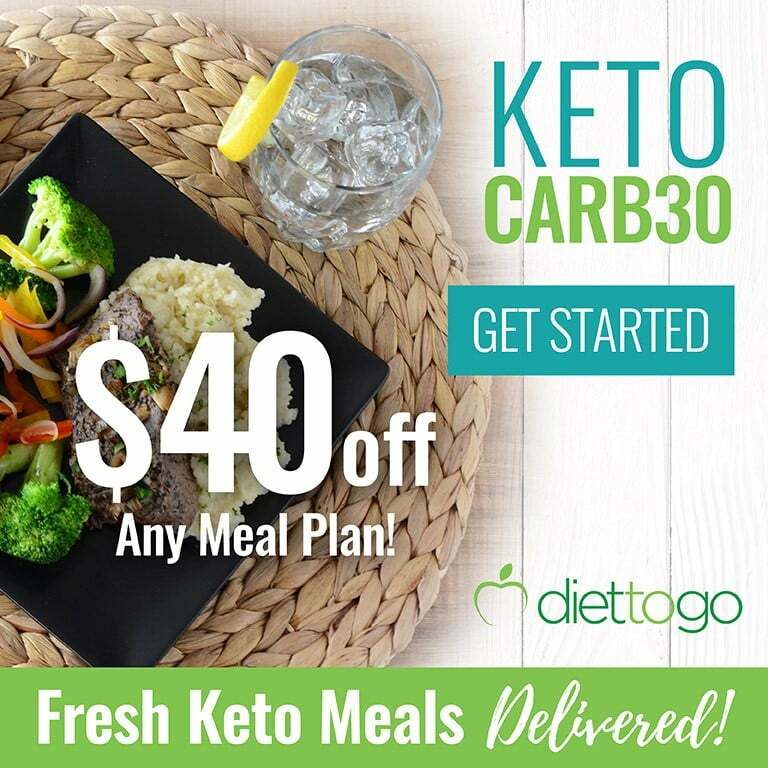 Almond flour can be used for a number of keto recipes, such as pizza dough, cookies, cheesecake, and so on. While peanuts are actually legumes and not nuts, they are relatively low-carb (7g net carbs per 100g), and have a number of heart health benefits, in addition to being sating and nutritionally dense. 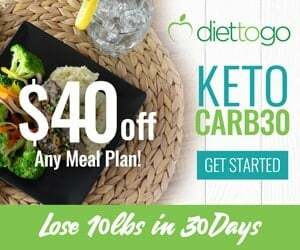 There is an ongoing debate in the keto and low-carb community on whether peanut and peanut butter should be included in a balanced keto diet, and people who are following a paleo diet (which is also low in carbs, although not as low as the ketogenic diet) generally do not consume them. Peanut butter is more readily absorbed than peanuts and is also extremely tasty, which makes it a trigger food for a lot of people. If you can stick to one serving of it (1 tablespoon is typically considered as 1 serving) and do weigh it and log it in your food journal correctly, then you should not have an issue with it. If you cannot stick to a reasonable amount that fits in your daily macros, you should maybe avoid it. Make sure that you’re consuming pure peanut butter that contains no added sugar or other vegetable oils, always check the label when buying it. Alternatively, you can make your own keto peanut butter from home. 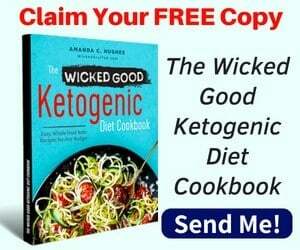 If the amounts of nuts that you are consuming are properly measured and logged, they should not have an adverse effect on your keto weight loss. However, as discussed above, it is extremely easy to eat too much of them. 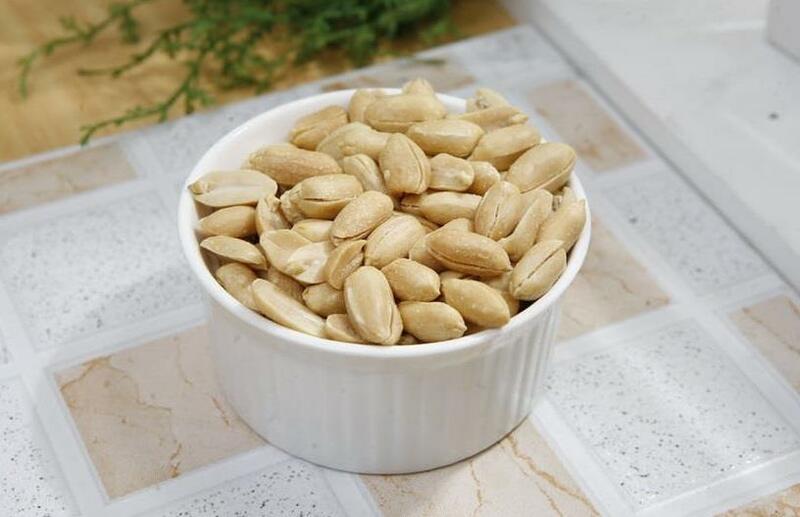 If you tend to get easily carried away when eating roasted and salted nuts, try eating them raw as they’ll feel more satisfying and it’s a little bit more difficult to overeat them. If you hit a weight loss stall, you might want to consider limiting or eliminating nuts from your diet for 2-3 weeks, to see if this helps. Alternatively, you could only use nuts in salads or in other recipes, to boost flavour and add crunchiness, but limit their consumption as a snack. If you are currently at maintenance weight and are physically active, nuts can indeed be a very good source of energy.